We completely overwhelmed by the support we've received so far and so excited to get started on the changes! Our stretch goal will focus on improving our teaching spaces, including introducing a new accessible space just outside of the milking barn that is currently unusable and a polytunnel with raised staging. We also hope to improve our volunteer facilities. The target also allows for us to improve our educational resources and develop our farm products, including goats milk soap, meat and seasonal goods. These improvements will help us improve the viability of our business in the longer term. 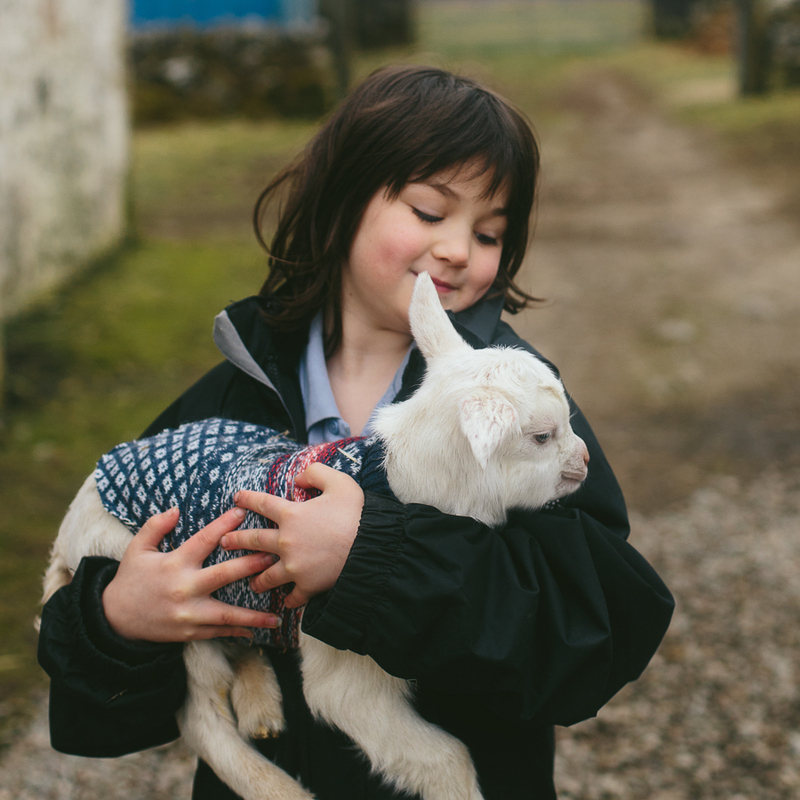 >Smallholders living and working at the foot of the Scottish Trossachs are seeking support to expand and upgrade their farm experience business to serve broader range of visitors and offerings both here at the farm and through our online classes. >Visitors today participate in experiences, workshops and retreats that explore, through talks, tours and on-line classes the hands on elements of regenerative farming and smallholding, connecting modern day life and its requirements to activities practiced for 100s of years on Scottish crofts or small holdings across the country. >Over 500 people visited Gartur Stitch Farm since September 2018. Owners, Kat and Kevin, want to enhance and improve visitor experiences by converting a seldom used barn into a multi-purpose “wet” space to accommodate goat and cow milking, cooking and natural dyeing. >There is also a need to upgrade essential services including accessibility, hygiene, and weather shelter to facilitate seasonal accessibility and experiences for individuals and families. 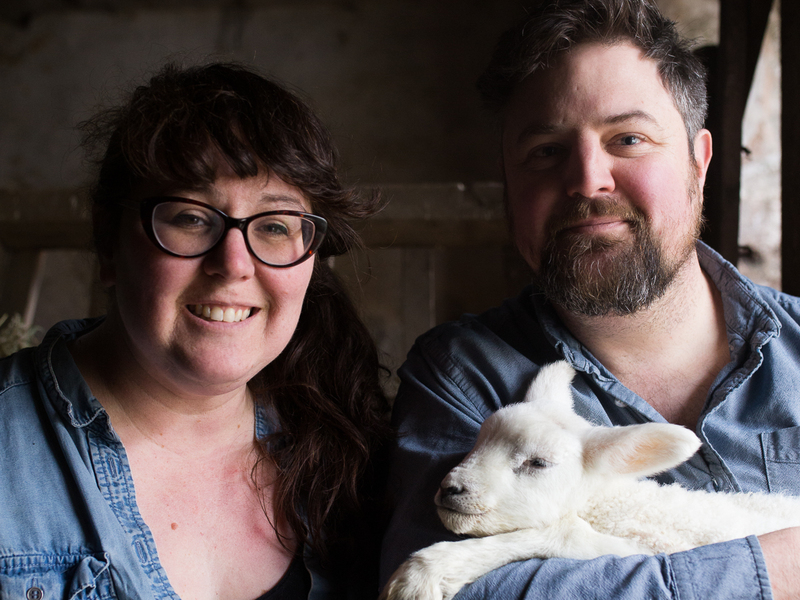 We are Kat and Kevin, passionate smallholders who moved to our small farm about 5 years ago- adding dairy goats, Soay sheep, a KuneKune pig, chickens, ducks, geese, cats, and a rather dapper peacock named Major Tom to our menagerie. We grow and make most of our own food and love to share our passion with people coming from all over the world. Kat is an author and photographer who specialises in craft and DIY how-to books, online courses and events. From the farm studio, she hosts popular workshops and weekend long retreats on crochet, sourdough bread making, cheese making, foraging and supper clubs. Kevin is a successful participatory arts manager and is passionate about hands on experiences and the transformative power of doing. Together, with our three spirited children, we run Gartur Stitch Farm, a small regenerative farm at the edge of the Trossachs in Scotland. Early on in our smallholding journey, we knew we wanted to share this amazing corner of the world with people who were looking to connect with where their food comes from. Over the last five years, we have built set of events that do just that. 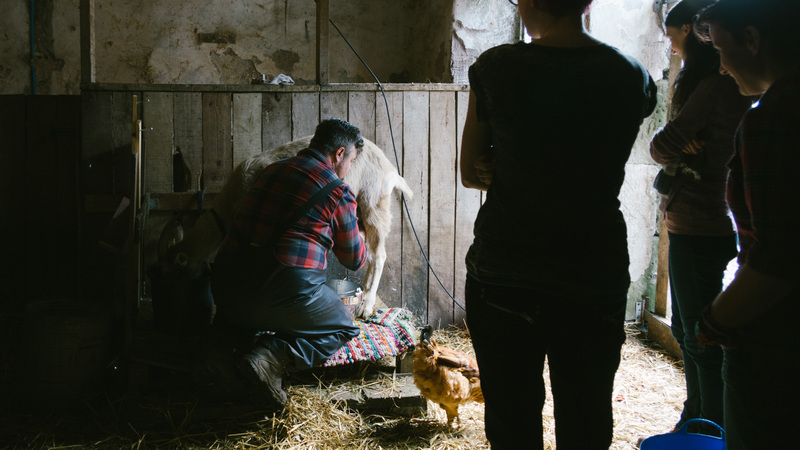 On any given day that may include hosting groups for "Meet the Goat" experiences where we give farm tours, talk about farming on a small scale and teach folk how to milk our beloved dairy goat, Dasha. On another day we may host one of our popular sourdough workshops in the farm studio or a fibre-related weekend retreat focused on natural dyeing, or crochet and knitting. We also run online classes where we teach sourdough baking, fermentation, soap making and spoon carving to people all over the world. Sharing these skills and seeing people connect brings us joy. It also teaches people important skills and knowledge about farming, regenerative agriculture, food and small business challenges. One of our most popular activities is our "Meet the Goats" experience. Run mostly through AirBnB, we bring about 30 people to the farm per week to experience our small operation. Our type of farm is locally called a croft. It is a traditional type of small, self- sustaining tenant farm that has existed in communities like ours for hundreds of years in Scotland. We offer a glimpse into how these farms exist as part of a larger traditional hunting, farming and forestry estate and what it takes to live the "good life" that many people dream of. Over 500 folks have visited us from all over the world. Our mission is to explore and share "a life in the making". We firmly believe in the power of making from scratch, figuring things out, embedding creativity into the most commonplace of things and taking back a tiny bit of power in a world that wants us to hand it over with our cash. This is the reason we get up out of bed every morning...well that, strong coffee and cute animals. Our farm sits around a 17th century listed courtyard, which is beautiful and old, but unfortunately isn't quite up to the job of welcoming as many people as we would like. Our crowd funder will support the improvement to some of our basic facilities, such as hand washing, access for people with disabilities and protection from the elements so we can extend our workshop schedule into the colder and wetter months. The project has two components - the conversion of a small barn into a workshop space and accessibility improvements around the farm. Our studio where our sourdough and cheesemaking workshops are held was upgraded in 2018 to be a beautiful and (mostly) functional workshop space and meeting venue. However, not all our workshops are suited to the space. Things like goat milking, outdoor cooking and natural dyeing all need more of a wet space for the type of work they entail. Our aim is to improve the facilities in another one of our barns - the woodshed - to accommodate those kinds of activities. The work plan includes improving the lighting and electrics, building doors to block out the weather, installing a small wood burner for heat and installing an outdoor kitchen space in the area directly behind the shed. This will not only allow us to expand the range of workshops we can offer, but we envision it as a perfect place to host farm to table dinners and pizza evenings. The other part of the project is less glamorous, but very necessary. In order to run the range of workshops we see going forward, we need to upgrade some essential aspects of the farm- in particular, handwashing and accessibility. Today, handwashing for workshops and after animal handling take place in the farm house in our one small downstairs loo. We would like to install a couple of hand-washing stations at various points around the site, including in the studio and in the outdoor kitchen space. This will improve hygiene around the farm for visitors and improve biosecurity. We are also exploring the option of becoming a green care farm - a venue for people with dementia and other mental health issues to come and get up close and personal with animals and farming. For this to be viable, we need to improve the accessibility of the buildings. As part of this, we would like to install a polytunnel with raised beds and staging to allow for hands on gardening experiences in a sheltered environment. Gartur Stitch Farm is not just about us, it is about our neighbours, our community and other local businesses and you. 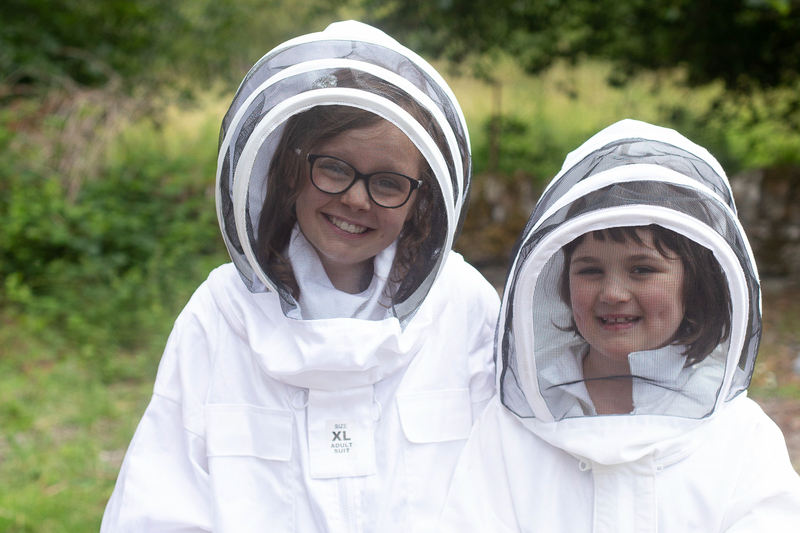 We already welcome Wwoofers (Willing Workers on Organic Farms), work with local businesses such as Wildedge Wood, All that is Braw, Snapdragon, Woollen Flower, Craigievern Farm and Buchlyvie Pottery Shop. We purchase supplies including coffee and flour from local Scottish companies and we have amazing support through the Crochet Project from yarn lovers across the world.  We want Gartur Stitch Farm to be your farm, a place you can visit in person and on your Instagram or YouTube, where you can learn and feel connected and part of our daily lives. We value your time, your good will and support so much. Please be a part of Gartur Stitch Farm with us. We have pulled together an intro guide to sourdough bread making. Filled with recipes, tips and step by step tutorials, we will have you baking sourdough bread in no time. 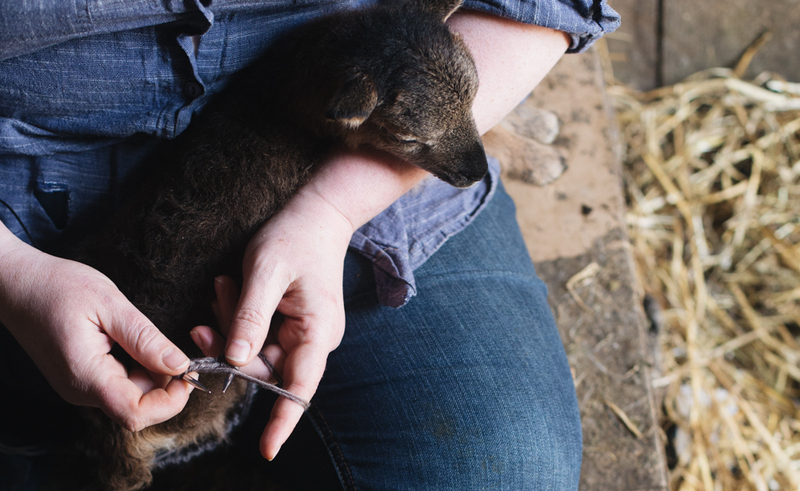 Be one of the first to receive a hank of our Country Mile yarn - a blend of our own Soay and Shetland fleeces. In DK weight, you will get a 100g hank shipped out as soon as it is back from the mill (Dec 2019). Made by our good friends at Snapdragon Online, these large bone china mugs are perfect for your tea or coffee and feature our farm logo. Come to the farm and let us say thank you in person for your support the best way we know how - let us cook for you! This evening will feature all of our home grown and locally sourced ingredients. We will dine in our upgraded workshop space and enjoy a relaxed evening chatting food and smallholding . Dinners will be scheduled to suit. Sign up for the whole range of Gartur Stitch Farm online courses. We currently have on offer: Sourdough Bread, Fermentation, A Handmade Christmas, Cheesemaking and Natural Home and Beauty. You will receive the login details to all of the courses for you to take at your leisure. Spend the afternoon with us in the woods, hunting for the best mushrooms, greens and other edibles. We take our bounty back to the house and show you how to make a range of delicacies from our finds. While you sip on wild cocktails, we will whip up a foraging inspired dinner for you! Dates to be confirmed, likely August/September 2019. If you follow Kat on Instagram, you will know that she has a passion for photography. This reward lets you book a private farm experience, where you get to meet all of the animals and Kat will photograph your day and supply you with professional photos to keep forever. The visit will last 3 hours and you will receive a selection of edited digital images. Dates will be arranged to suit you. Let us show you our favourite parts of Scotland. Your 6 day trip will start here for a weekend at the farm, where we will milk the goats and cow, cuddle lambs and Kat will cook for you straight off the farm. The remaining days will be spent with Kevin as your tour guide, taking you to our favourite bits of this glorious country. Travel to farm not included. Further details upon request.